EuroMaTech is able to design, develop and execute customised In-house training courses to meet the precise requirements of individual clients. EuroMaTech is capable of providing specially tailored in-house training courses to our clients. We can run all our courses on an in-house basis, saving your time and money. The advantage of in-house training is that the client’s particular business environment or management situation is specifically addressed. Greater Flexibility: You can choose the exact time that suits you best without having to fit into the schedule offered generally. Cost Effective: You avoid paying expensive travel and hotel costs. Your delegates can attend the training without having to worry about finding the venue and wasting time on travel. More Focused Content: You can tailor precisely the content of the course to what suits your particular needs. Delegates are also able to more effectively discuss confidential and company-specific material. 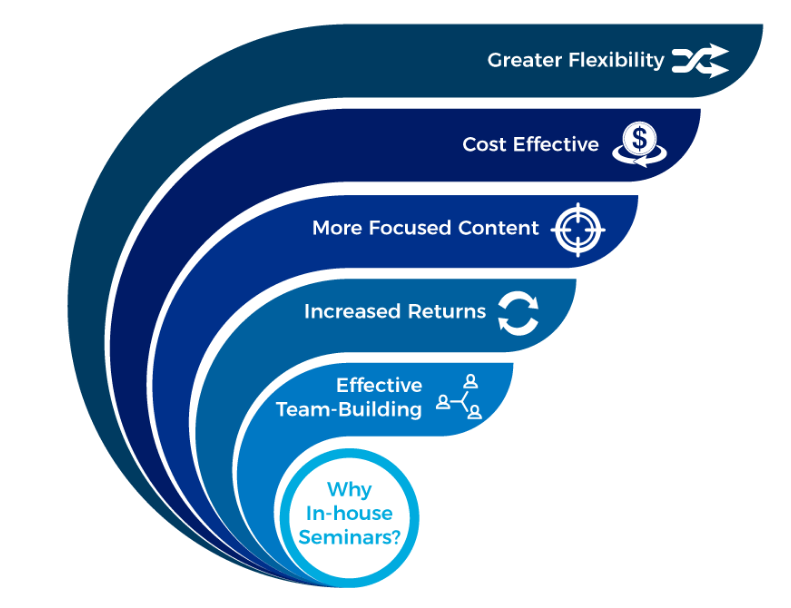 Increased Returns: Research has demonstrated a greater Return on Investment form internal training courses. Effective Team-Building: Because personnel only from your organisation are present on the course, you have the additional benefit of developing the members of your team to work together even more effectively. 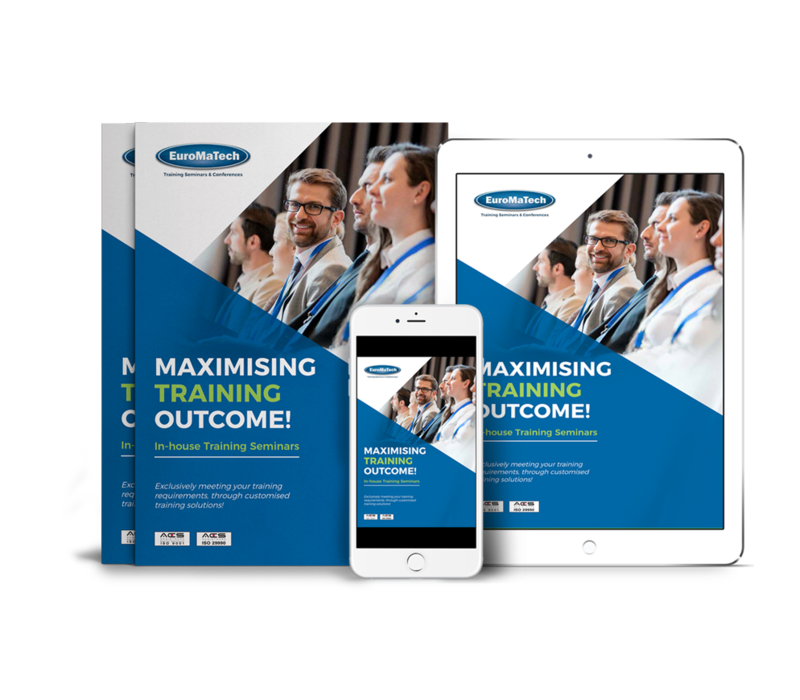 Download Our In-House Training Profile! To obtain a comprehensive overview and learn more about our customized training services, we invite you to click and download our In-House Training Profile. Your course! Your Venue! Your Schedule! Your Team! Our In-House trainings allow the flexibility to keep your preferences above all existing options, with a view to closely meet and match your specific training requirements. Contact us to discuss your needs or alternatively look at our brochure or website to see our wide portfolio of courses and then select particular modules that you want to concentrate on. By working closely with you, we ensure that your needs and requirements are matched well with the agreed content. We then select the best Consultant from our network who will be most suited to your precise needs. The same exacting professional standards of our Consultants! We pride ourselves on having experienced presenters who excel both in their expert knowledge, unparalleled skill-sets and also their delivery. For further information and/or to receive a competitive proposal, please contact us @ Tel. : +971 4 457 1813 , or E-mail to: inhouse@euromatech.ae.